After many weeks of nonstop traveling city to city, I was ready to settle down and recuperate. I took an overnight train from Wien Westbahnhof to Bologna Centrale and went straight to my friend’s apartment in the center of town. She’s currently studying abroad at the University of Bologna, so she was able to give me the grand tour of her city. 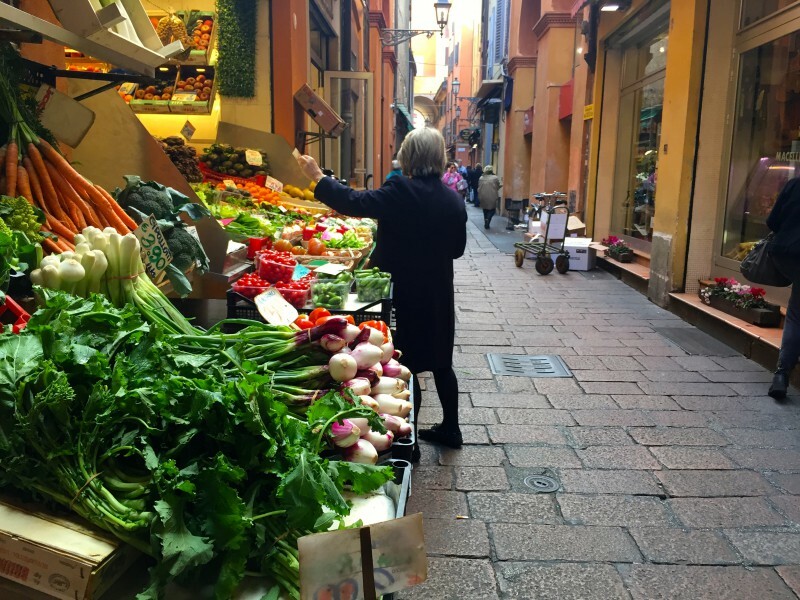 We walked the streets and explored all of the historic charm that Bologna has to offer. 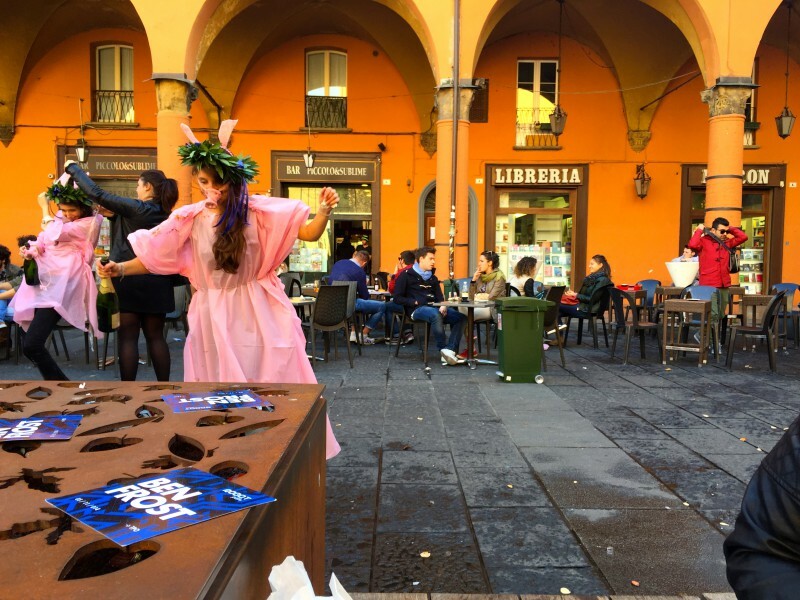 In America, most students graduate from their university in either May or June, whereas in Italy, students can graduate any given day of the week. Therefore, almost every single day I saw recent graduates drunkenly roaming the streets celebrating in traditional handmade costumes (which were quite hilarious). To be completely honest, my week in Bologna was really just focused on eating as much as physically possible; I had bolognese on anything and everything. I missed Italian cuisine dearly and quickly rekindled my love affair with carbs. Before I left for Europe, I specifically remember a conversation I had with my cousin. After explaining my tentative plans, he informed me that I could only stay in Europe for ninety cumulative days without a visa. Being a stubborn fool, I argued that that rule was enforced per country and as long as I didn’t stay in a single country for more than ninety days, I would be fine. I was 100% incorrect. It wasn’t until I had a similar conversation with a friend in Bologna that I finally decided to do some extensive Schengen Area research. Without a valid reason to get a visa, I was heartbroken to discover that my travels were going to come to an end much sooner than anticipated. I also realized that if I wanted to return to my family in Austria for the holidays, legally I would have to leave the Schengen Area for a week before I hit my ninety day limit. Within hours, I had booked a spontaneous trip to Israel (outside of Schengen Area) departing in three days, as well as my return flight home. I left my luggage with my friend in Bologna and packed a small backpack for Tel Aviv. 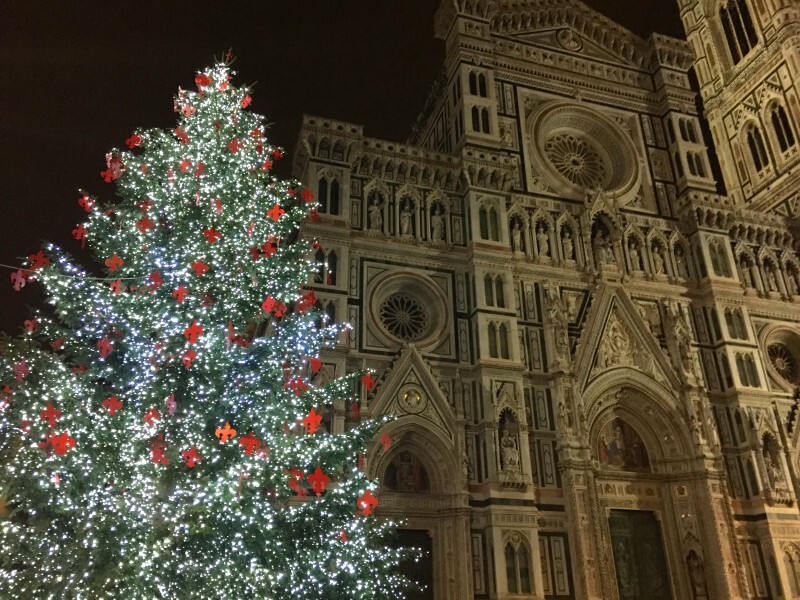 When I returned back to Bologna from Israel, I gathered my ever-growing luggage and headed down to Florence. I was a bit stressed out after missing my first train, but the moment I arrived at the Santa Maria Novella train station, all of my worries diminished. 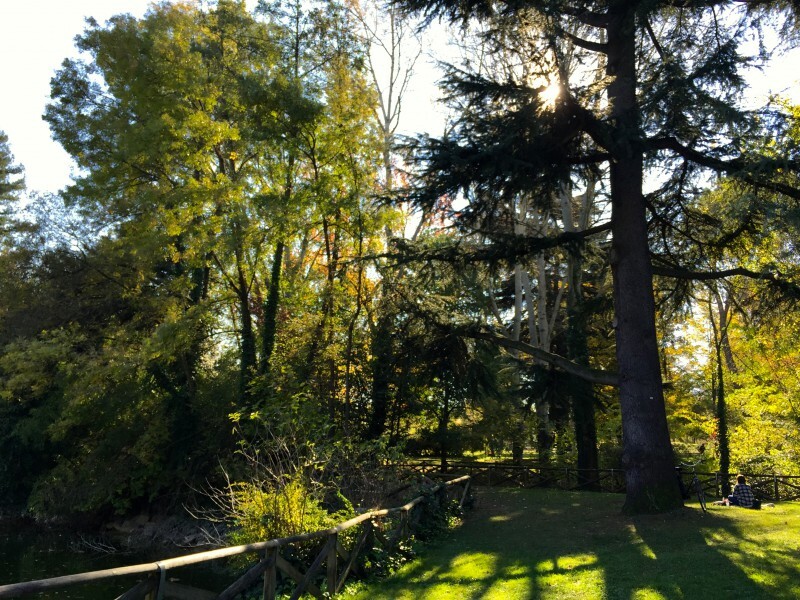 After previously studying abroad in Florence, it was incredibly nostalgic to return back to my second home. 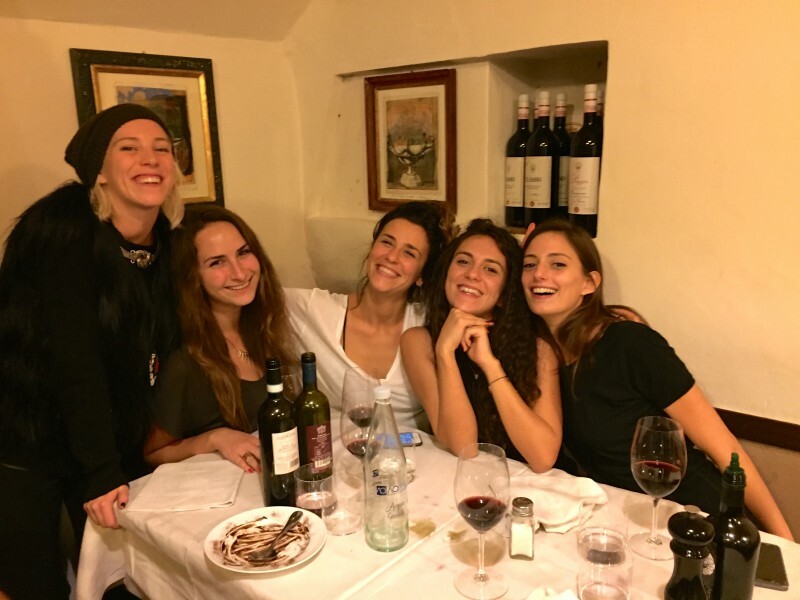 I stayed with my friend Sofia and her wonderful family in Sesto Fiorentino, a quaint town just outside of the city center. I was greeted with warm hugs and homemade brownies topped with a “Welcome Carissa” icing drizzle across each chocolatey bite. It’s so rare to find such kind hearted people willing to welcome a stranger in their home and to treat me like family; I seriously love them. When la mia madre Italiana wasn’t cooking at home, we would go out to our favorite restaurants in town. Some nights we even had two dinners just because it was so delicious. 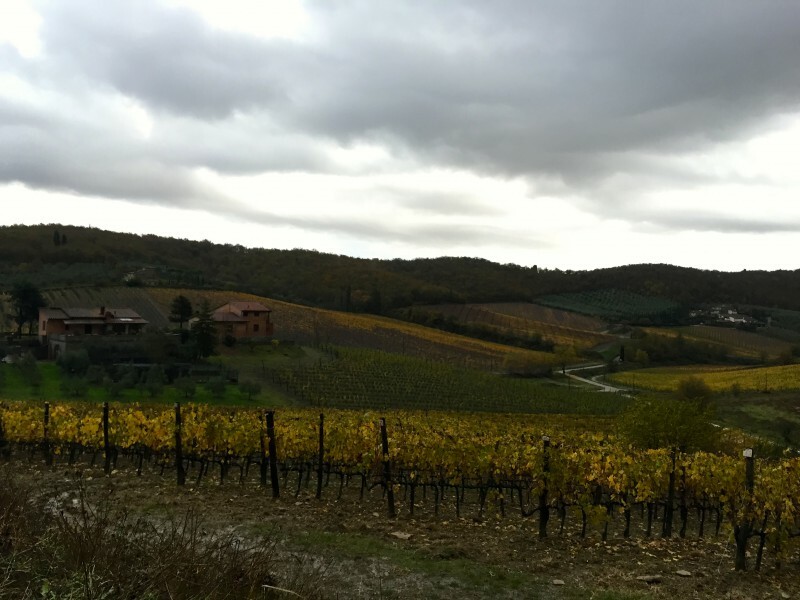 We took a day trip down to Chianti through the rainy vineyards and drank as much Chianti Classico as we could. As we were searching for another vineyard in Radda, we stumbled across Ristorante La Bottega, and decided to stop in for lunch. I recognized immediately that it was a Michelin rated restaurant, which seemed bizarre since the dishes were priced around 5-15€. We were pleased to find that the inexpensive tab did not compromise the supreme quality. We ordered rabbit, veal, and pasta all drizzled with black truffle. We had multiple glasses of wine and even a tiramisu all for about 40€, a lunch that should have cost easily 150€. Highly recommend it! Back in town, I saw all of my old friends and made even more new friends. However, after a week in Florence, I was ready to continue traveling. I left my luggage with Sofia and departed for Brussels, then Amsterdam, and finally to London. I returned back to Florence, switched out my winter coats for my bikinis, and headed to Tenerife. Since I booked my first month of traveling in advance, I was able to fly with major airlines for a cheaper fare. While being spontaneous was fun, I unfortunately had to fly with EasyJet and RyanAir in order to not spend a fortune. Although the budget airline tickets were cheaper, I was limited to a carry-on bag. That was why I kept leaving my luggage in Italy and continuously flying in and out of the country. Luckily, my friends were extremely helpful in lending me some closet space for my suburban of a suitcase. After nearly two weeks in Tenerife, I finally returned to Italy one last time. I gathered my belongings in Florence and took a train up to Venice. 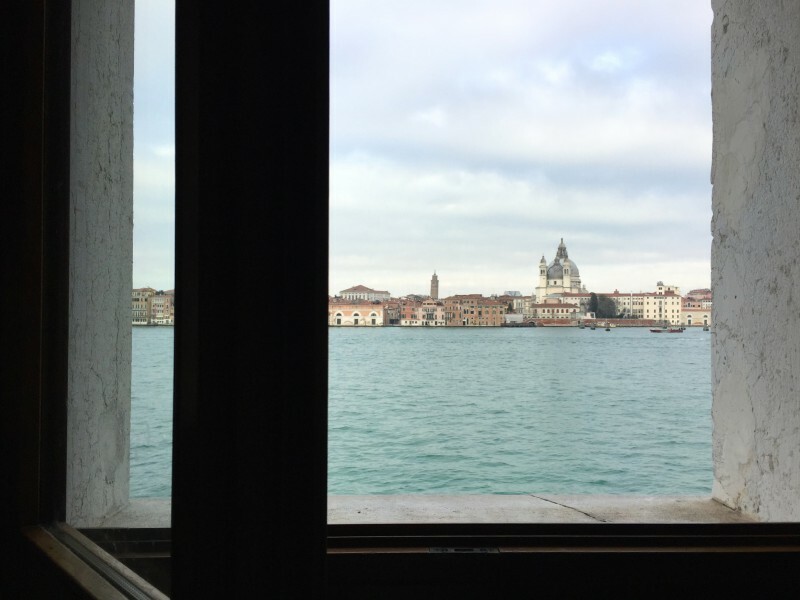 After quite the hectic morning – yes I missed another train, and no I don’t want to talk about it – I arrived in Venice. When I first visited Venice, I was there for only half of a day, so it was important to me to be able to at least stay a night along the canals. Upon arrival, I purchased an unlimited 72-hour vaporetto pass for twenty-four euro and headed to my hostel. My father and his girlfriend happened to be traveling through Italy at the same time, so we all met at the famous Harry’s Bar for drinks before heading off to dinner. 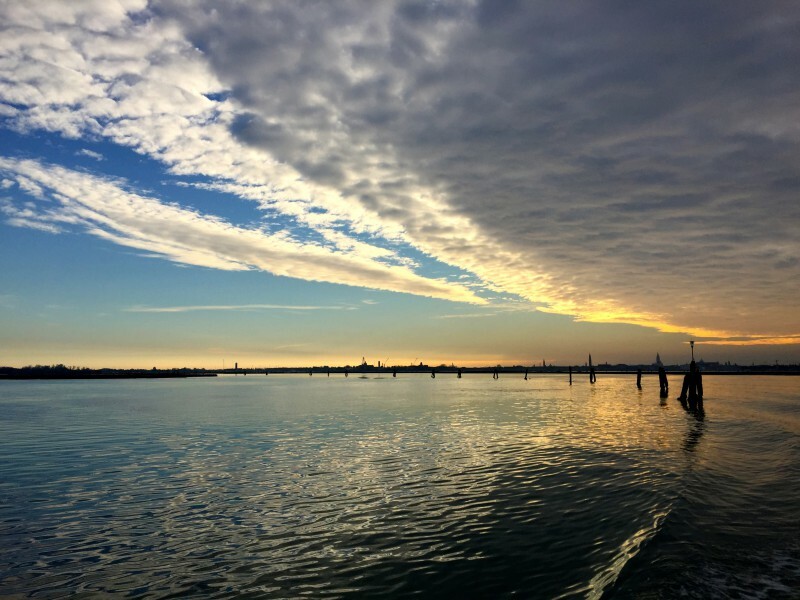 The next day, I took the vaporetto to the island of Murano for a glass blowing tour as well as some light souvenir shopping. 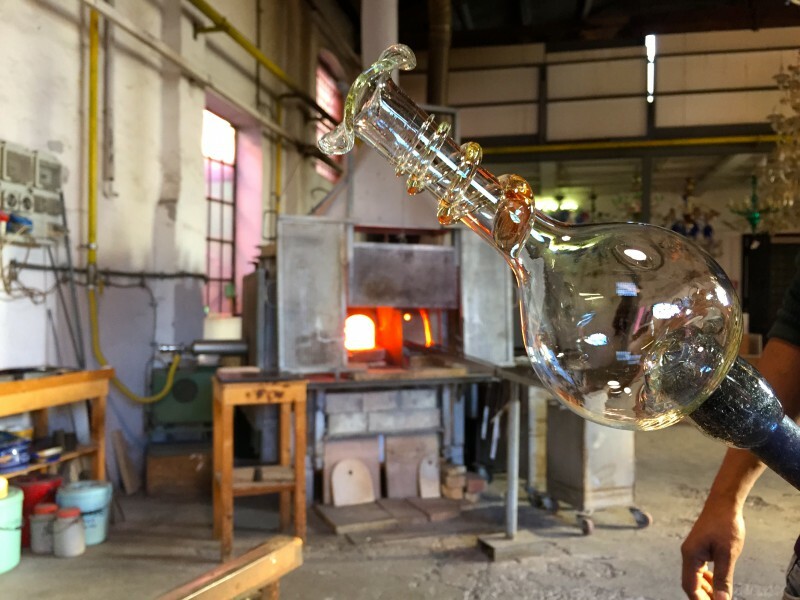 Since it was off season, the master glass blower was on vacation – but luckily I was still able to watch his apprentice mess around. 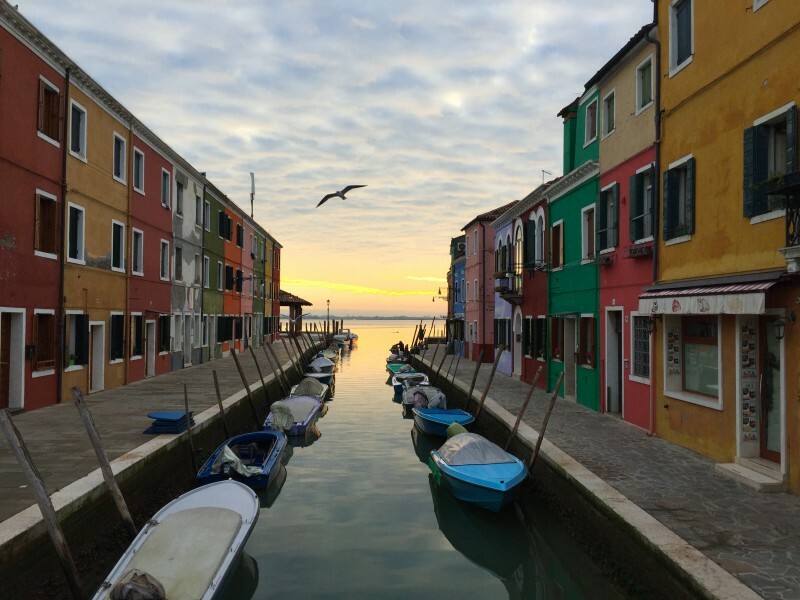 After Murano, I continued on to the island of Burano. I explored the bright, colorful homes along the canals just before a spectacular sunset. Venice to this day is probably one of my favorite cities, there’s just something so magical and charming about it. I was a bit numb after a long, chilly boat ride back to my hostel, so I warmed up with a couple of drinks at the hostel bar. Feeling pretty amazing, I decided to treat myself to a nice dinner for my last night. I went to Rossopomodoro and ate more food than a family of four. I started off with a platter of bruschetta with juicy pomodori, followed by a creamy pasta dish (o paccarettino con friarelli e ricotta di bufala con spolverata di pecorino), a montoresa pizza (mozzarella, pomodorini, salsiccia napoletana, funghi porcini, trifoliate e grana), and a tiramisu with a nutella drizzle, all complimented by a large glass of vino. I then wobbled back to my hostel and just as I was about to ascend up the staircase to my room, the bartender stopped me. We chatted and he suggested that I stay downstairs and drink. 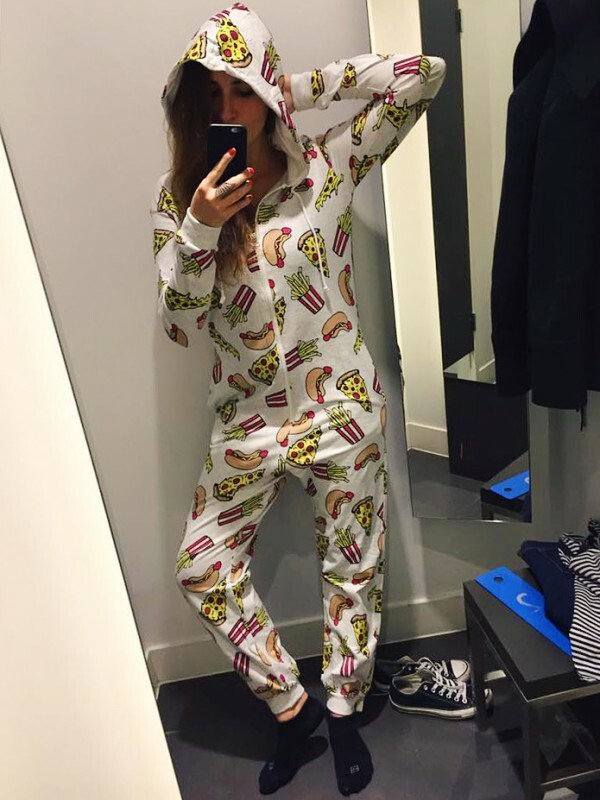 I laughed and explained that after the long day I had and the ample amount of liquor consumed, I was ready to get into my hamburger / hot dog / fries onesie and sleep. He gave me a quizzical look and said something along the lines of, “If you put on that onesie and drink at my bar, you won’t have to pay for a single drink.” Needless to say, I got drunk at that bar in that onesie until finally going to bed at around six in the morning. Two hours later, I was waking up for my bus ride to Austria. Arrivederci Italia, as always, you are dearly missed. Next Post Wanna go to Ljublijana?